While not for casual gamers, serious fishing aficionados will want to tackle this one. I’ll be completely honest and admit that I don’t normally play fishing games, though I do enjoy the aspects of it in other games such as Final Fantasy XV or even more simple versions of it like in World of Warcraft. Coming in hot on the heels of Train Sim World, Dovetail Games brings us Fishing Sim World. It can be a bit overwhelming for new players and those new to fishing in general, but once you get into the (fishing) swing of things, you’ll have a good time netting some awesome catches. 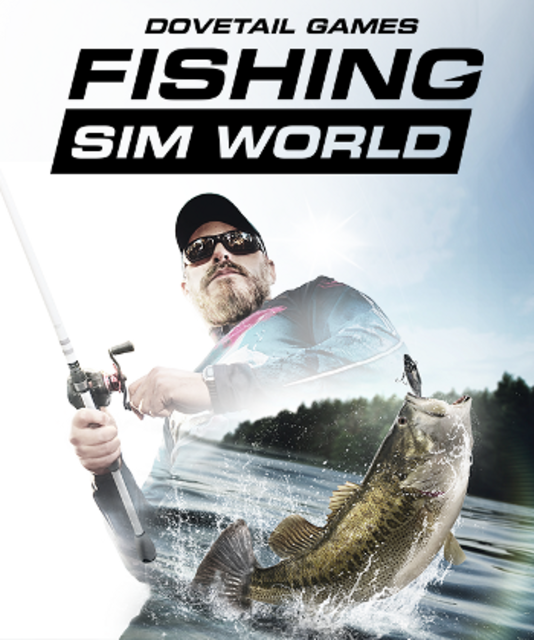 Those familiar with 2014’s Euro Fishing will quickly learn Fishing Sim World is the follow-up to it, as you create a fisher and set out to fish up some of the biggest catches out there in England, Austria, Germany, France and now finally in the United States where bass of all kinds roam. Thankfully if you’re new, there’s some tutorial videos you can watch that show you everything you need to get started, from casting your line to learning everything about your tackle equipment. Then you’re off to make your own fishing adventures, where you can choose a location to fish from different spots on the various lakes, or go all in and hop on a boat and search for the perfect spot. Using the sonar on your boat will help you find some good locations to fish and keep you from mindlessly running around, but you’ll get more out of fishing from the spots on land as you can cast multiple lines out to reel in more fish. As you’ve probably already guessed, casting your line is done by using a power meter you’ll have to time and set to balance how much power goes into the swing and how much line to let out for the distance. There’s all sorts of bait and tackle you can use to catch various fish, and each of them have their own tricks you can use to snag them. And you’ll want to net as many as you can as you earn XP and money for the fish you catch, which allows you to level up and purchase more cool tackle equipment, faster boats, clothing, gear and more to snag bigger and better fish out there. Sure, you can catch all the cool fish out there and keep track of your best catches, but what’s the point if there’s no one else around to compete with? That’s where the multiplayer fun comes in as you can get some friends together for some 4-player action on consoles and up to 8-players on the PC where you can compare catches and see how all of you stack up on the online leaderboards. The graphics look good but not great, though they get the job done nicely as they capture just enough detail of the landscapes and water you come across. The audio is pretty good as well, as the sound effects are spot on but the so-so music can range from tolerable to reaching for the mute button. It can be a bit daunting at first for newcomers, but if you’re looking for something different and challenging to play, you’ll want to snag a copy of Fishing Sim World. As with real life fishing, some may find this to be a time consuming chore, but those who love and appreciate the fine art of fishing are sure to get hooked on this one.